Has your dog ever acted a certain way or done something, but you are unsure what it meant? 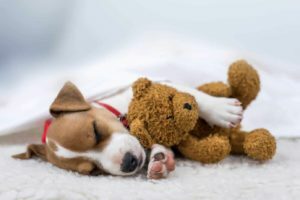 Often, your dog may be trying to tell you something, but because you don’t understand dog body language or behavior, you may miss the meaning entirely. 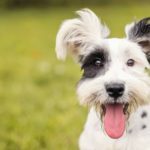 Therefore, it is vital that you know the basic reasons why your dog does what she does and what it means when you see her panting, shaking or sniffing around your home or outside. So pay attention to dog body language cues so you’ll understand what she’s trying to tell you. Stress – Signs of stress include panting heavily, pacing and possibly shaking. Dogs tend to calm themselves by yawning, circling, licking their lips, sitting, or lying down. These are all calming signals that a dog would show members of her pack. Even if your dog is the only canine in the home, they see you and the rest of the people in your home as a pack. Confidence – If your dog feels good about himself and his environment, he is confident. That’s easy to spot because your dog will stand on all four legs, head high, ears up, and his tail (if there is one) will be up high. When your dog is confident, he or she gives off a friendly demeanor that is easy to see from afar. Fear – Fearful dogs also are easy to spot. She tends to crouch nearer to the ground, tail tucked between her legs, may whine, and move her ears back. This is often due to a sudden changes in the dog’s environment, such as when you move to a new home, or you are taking a road trip. Dogs are creatures of habit and when their routine is disrupted, they can become fearful. 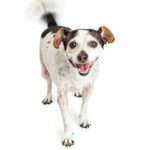 Happy – A happy dog looks like a confident dog except her tail is wagging like crazy. She’s also likely to prance around, wiggle and be very excited. When your dog is happy, sometimes he will bark, but the bark is playful rather than aggressive and you can easily tell the difference. Aggressive – Noting the posture of an aggressive dog – especially a dog you do not know – is important because it might help you get away quickly. First, an aggressive dog will have all four legs on the ground and stand still as if to say, “I’m challenging you!” The hair on the dog’s back may rise, his head will be held high, but can be in a lowered position at the same time. His ears will be back as if they are pinned to his head, he likely will be snarling and growling, and his eyes will fixate on you or whoever they want to dominate. 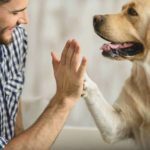 Learning to read dog body language will help you know how best to approach and work with your dog. 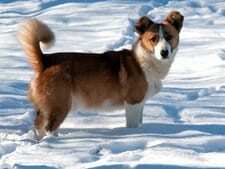 Oh there is so much that thae dog speaks through body language besides fear, happiness, aggression or confidence. I know exactly when my springer spaniel wants a body rub, a treat, a scratch under the ear,or her squeeky. I know when she is feeling down and out, sad or expecting a toy on my return from the shopping!! who says they need a voice – I think we humans need the perception to understand them! !